While Harman is an engaging live performer, the aspect of his career that I enjoy the most, is in fact his recordings. He has an impressive canon of material and an equally impressive batting average. 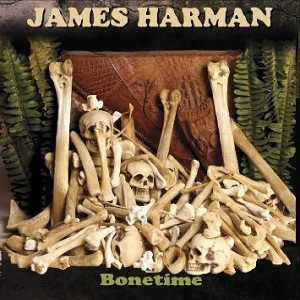 Harman has been quoted as saying, “A song is like a woman’s dress: It has to be long enough to cover the subject matter, but short enough to keep you interested.” On Bonetime, Harman pulls twelve original designs from off the rack of over 150 unfinished songs that he has in his closet...and yes, Harman keeps his listeners interested. They were recorded over a period of time dating back several years, but are seeing the light of day for the first time here on this CD. This is Harman’s first studio album since 2003’s Lonesome Moon Trance. Was it worth the wait, you might ask. The answer: A resounding...YES! 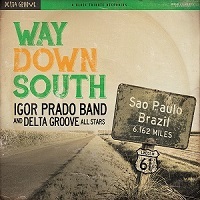 Even with all of the heavyweight star power on this release, the bright light that is The Igor Prado Band shines through every track on this Delta Groove Music release. This band continues to amaze with their uncanny ability to play with so many different accents in the blues dialects and do so with such a commanding authority. Still a couple of years shy of his 30th birthday, Big Jon has already proved to be a true force to be reckoned with in the world of real blues music. Atkinson is a harmonica player, guitarist, bassist and drummer. He is also a wonderful singer who has the soul and sound of the African-Americans who invented this language several decades ago. His singing never sounds forced or as if he is employing some kind of affectation. It is as real as it gets. 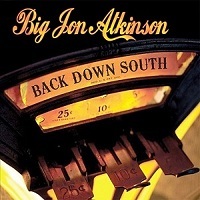 Back Down South is simply a stunning record from top to bottom. 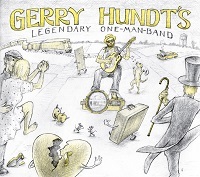 From low down Joe Hill Louis style boogies to delicate Elizabeth Cotton style finger picking this set of one man band performances captures the versatility and skill of Gerry Hundt. 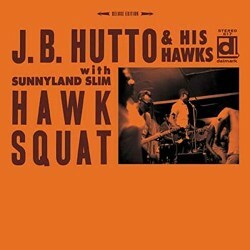 Hundt is a multi-instrumentalist who has mastered the solo style quite well. His take on the classics shows an intuitive understanding of the thrust of the song while bringing his own style to the fore. His original songs reflect a thorough understanding of the genre without relying on cliché ridden verses. This is a well-played and different release from a truly creative soul. Decades after some deeply soulful recordings, this woefully underappreciated vocalist was discovered (or more accurately re-discovered) by Rick Estrin and Kid Andersen on one of those blues cruises where he was a paying customer. Estrin and Andersen both agreed that he needed to be recorded and of course there isn’t a better place for that to be done than Kid’s Greaseland Studios in San Jose, California. The album was then put out by Jim Pugh’s Little Village Foundation label and has been the surprise hit of 2015. 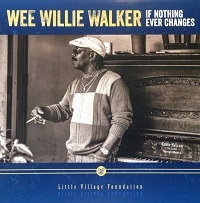 Walker has toured the world and was a hit at the Porretta Soul Festival where he was backed by the Anthony Paule Band. That is the same band which put out an outstanding blues/soul record this past year backing vocalist Frank Bey. Just like the International Space Station, it took an inter-continental and multi-national effort to put Rocket Girl into orbit. The Austin, Texas, based songwriter and singer is the former front person of the Fort Worth based ensemble, The Royal Rhythmaires. 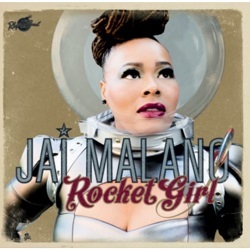 They produced two fine albums over the past few years, but Rocket Girl is one giant leap for Jai Malano. She makes a smooth landing and made a fine album which will surely be a hit with fans of vintage rock & roll, post war rhythm & blues, rockabilly and jump blues. This isn’t so much a time capsule, but a fresh updating of these great sounds. This Rhythm Bomb Records release is simply a lot of fun. 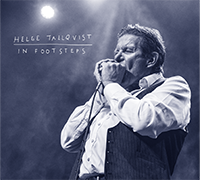 Helge Tallqvist is one of the best exponents of chromatic harp today with a deep understanding of the subtle tones and innate swing of the masters. A decade ago, Tallqvist released one of the best harp records we've heard called Plays George Harmonica Smith. He has also recorded with the young European blues sensation Ina Forsman. This new all instrumental release presents more wonderful covers of George Smith tunes as well as material from Lee Allen’s catalogue. Guitarist, Tomi Leino is featured though out the record and adds his solid and sparse sounds to the proceedings. 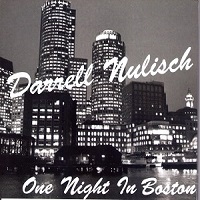 For thirty five years Darrell Nulisch has been one of the premier blues vocalists on the scene. His first national exposure came by way of his work with fellow North Texas native Anson Funderburgh and the Rockets. Since then Nulisch has sung on albums by Ronnie Earl and the Broadcasters, Hubert Sumlin, Hash Brown’s Texas Blues Revue, Otis Grand and others. In 2014, he appeared on two great recordings; one by German guitarist Kai Straus and the other by The Knickerbockers All-Stars. Nulisch may be best known for his twenty year association as the principal vocalist with the James Cotton Band. All the while, Nulisch released a steady stream of first rate solo albums. One Night In Boston is his eighth release under his own name and the first live album in his prolific career. It is a beauty! This young Swedish phenom sings pre-war country blues, gospel and folk music. She accompanies herself with a finger picking guitar style reminiscent of the era from which this music emanates. Her singing has an authenticity born out of her emotionally rich delivery which exudes honesty, integrity, and a reverence for this wonderful material. This record and this artist may open a window to the past and give folks new to this material an entrée in which to travel to another time and place. On the surface that place and time might seem like a long way from Sweden in 2015. 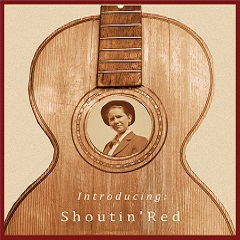 Then again Shoutin’ Red’s interpretation of this material makes all notions of time and place feel like artificial barriers and reminds all of us that the blues is the Universal language. This debut release might be this year’s draw dropping moment for me and those fortunate enough to hear this introduction. Not only on our list as Best Roots-Americana Album of the Year, Rocket Girl is one giant leap for Jai Malano from her past with the Royal Rhythmaires. Backed by the great French ensemble Nico Duportal and his Rhythm Dudes, Malano is no longer a co-pilot. She is the captain of the ship and that seems to be a position for which she is perfectly suited. Having followed Malano’s career for a few years now, it is wonderful to see the public sit up and start to take notice of this exciting talent. 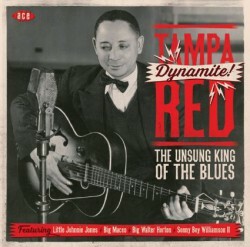 This is the first comprehensive collection of Tampa's post war recordings (1945-53) done for the RCA label. The collection features some of the finest back up musicians of the era including Big Walter Horton, Sonny Boy 2, Little Johnny Jones and Big Maceo. The fifty tracks on two CDs have crisp sound and include four unreleased sides from the vaults of RCA-VICTOR as well as many tracks making their appearance on cd for the first time. Johnny Jones and Big Maceo get vocal slots and the best news is the dreaded blues kazoo doesn't make an appearance until track seventeen on the first disc. For many boomers, The Paul Butterfield Blues Band was the first foray into the world of blues music. The intensity and urgency that Butterfield brought to blues music resonated with young audiences who were enthralled by the rock music of the late 60’s. The band which included the guitar playing of Michael Bloomfield and Elvin Bishop eviscerated their pale face contemporaries from the other side of the pond. 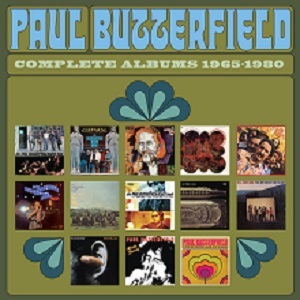 Yet that was just the beginning for Butterfield and the various bands which he fronted. This package includes every full length LP including his Better Days band and material that showed up under his own name. The complete Lost Sessions from 1964, which wasn’t released until 1995 is also included. So from East-West to North-South it’s all here. Including two live album’s recorded at L.A’s Troubadour and in White Lake, New York. Twenty eight years after his death and just a few months after being inducted into the Rock & Roll Hall of Fame, the Man Born in Chicago in 1942, Paul Butterfield finally has a comprehensive 14 disc box set that thoroughly documents his recorded legacy.